Today we welcome Amy from Maker Mama to the Blog Sitting position! I absolutely loved what she had in store for us when she e-mailed me her idea, and knew I had to have her blog sit for me right away :). 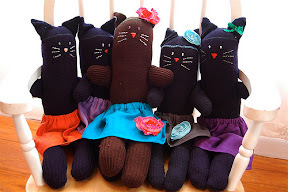 How cute are those sock kitties? 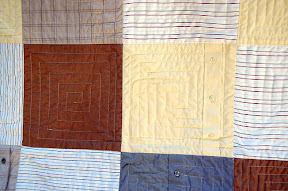 And that quilt is made from recycled mens shirts!!! Love it! 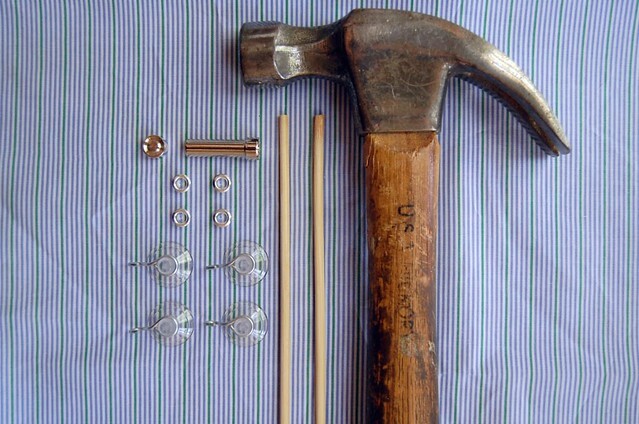 Hi everyone, I’m Amy, and I blog about my crafty life over at Maker Mama. I’ve loved making things since I was a girl, and as a firefighter’s wife with four little ones, I’m constantly thinking about how we can make things ourselves instead of taking another trip to the store (unless it’s the thrift store, of course). I started getting really crafty when I was pregnant with my third child, and taught myself to crochet, got reacquainted with sewing and embroidery, and have also learned how to knit and use a serger. 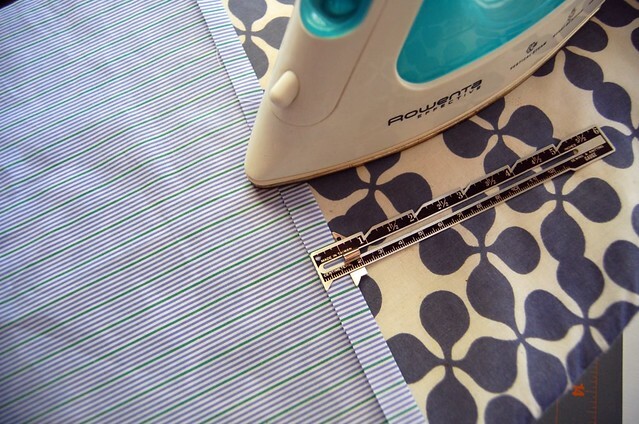 First you want to hem all the edges of your fabric, so get out your iron and press the sides up half an inch. Your corners should look something like this. 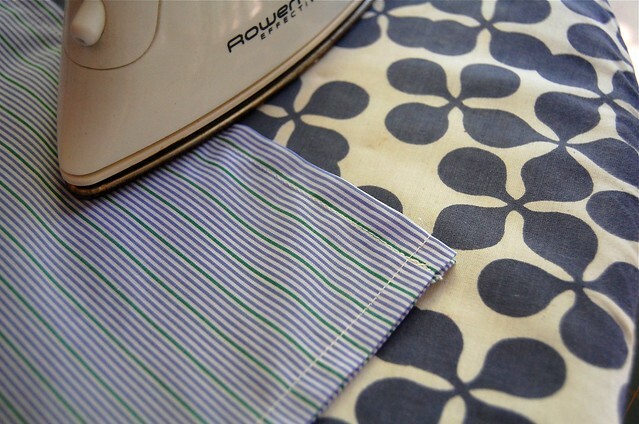 Now fold and press your fabric in half. 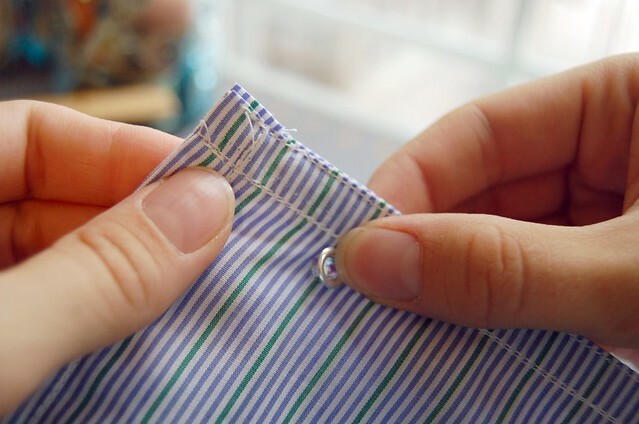 Pin the open edges together. 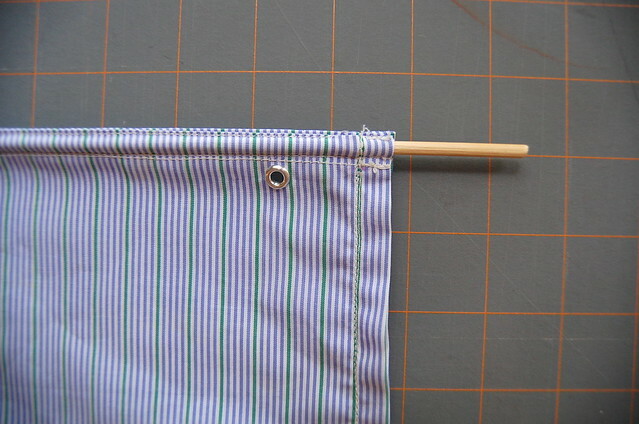 Sew as close to the edge as possible–you want to leave room for your dowel pocket in the next step. 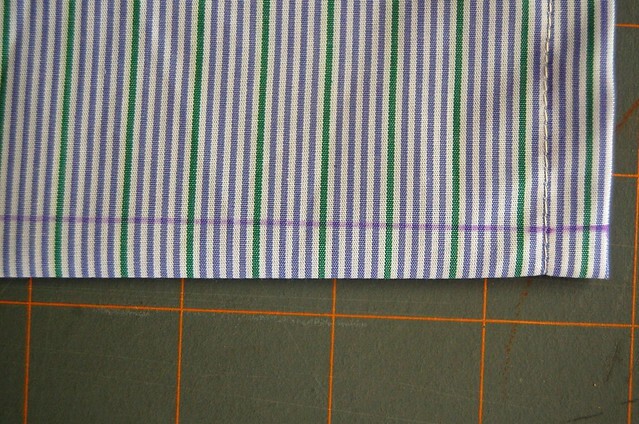 Next, mark and sew along a line half an inch from both the top and bottom. 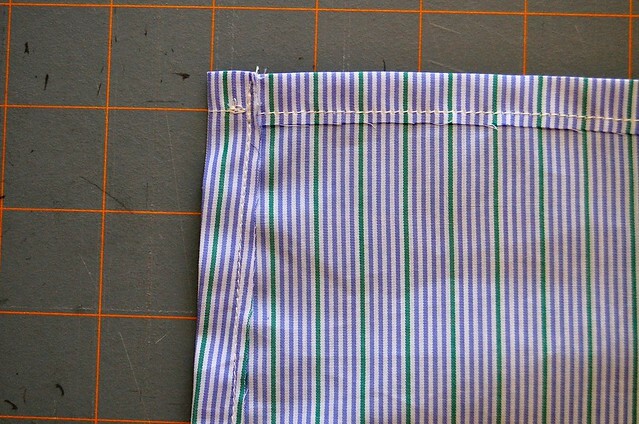 These will be your dowel pockets. 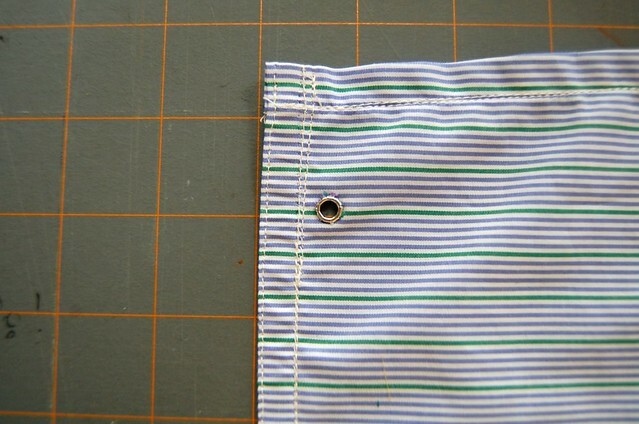 After you’ve sewn your dowel pockets, you need to mark where your four eyelets will go. 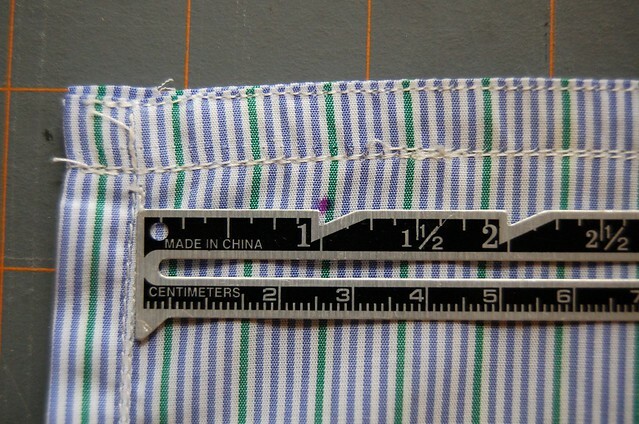 I marked mine about 1/4 inch from the top and bottom and an inch in from either side. 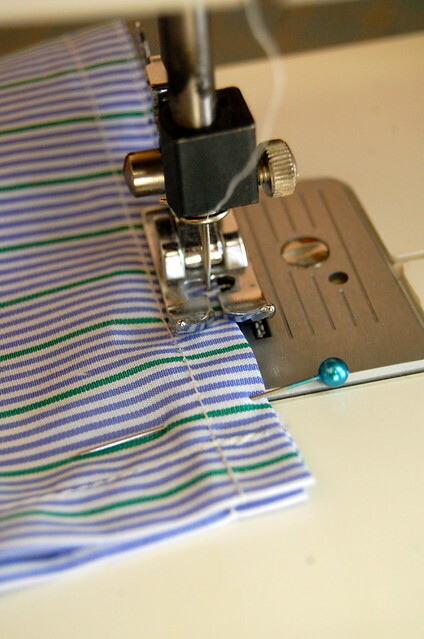 You want to mark them as close to the top and bottom edges as possible (but not in the dowel pockets!) 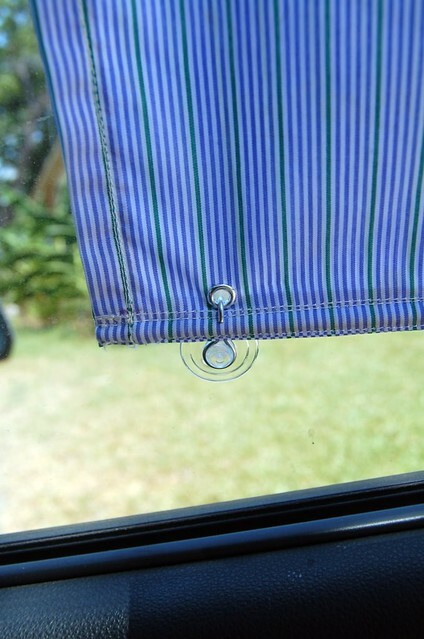 to ensure that the suction cup hooks will fit. 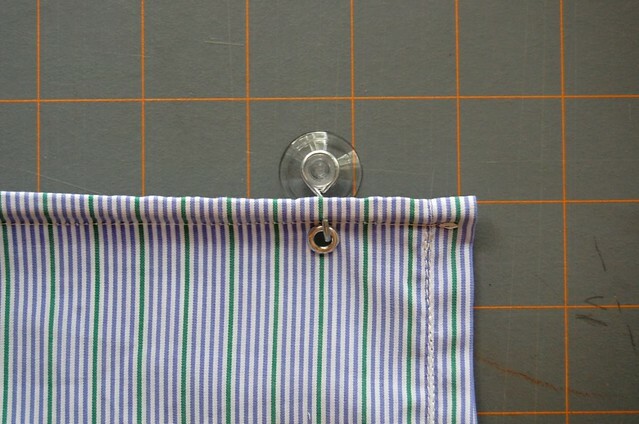 To make the holes for your eyelets, fold the fabric in half along each mark and carefully snip a small x in each corner. 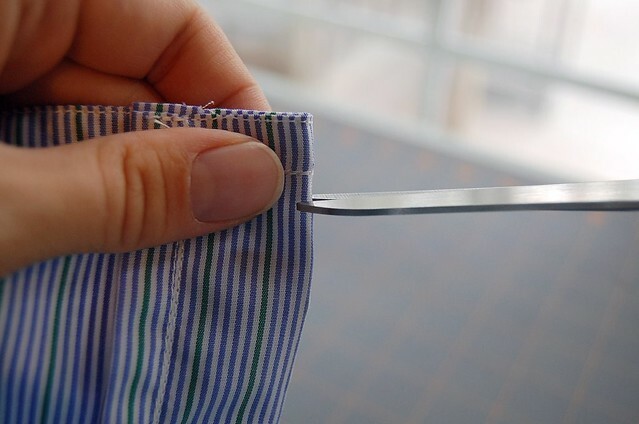 You want to cut your x smaller than the eyelet itself, otherwise the eyelet will slide through the fabric instead of gripping onto it. 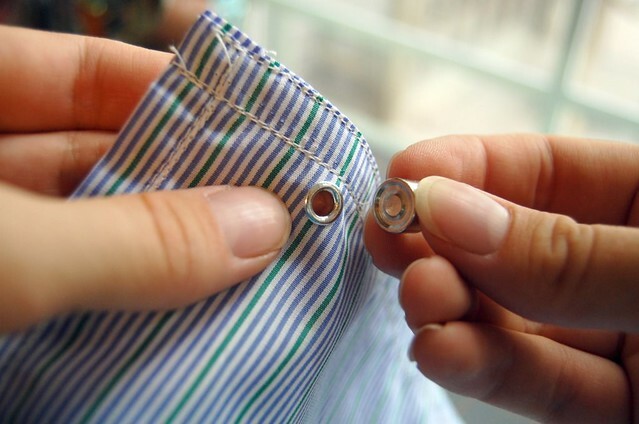 Slide your eyelets in (be sure to face them all out on the same side). 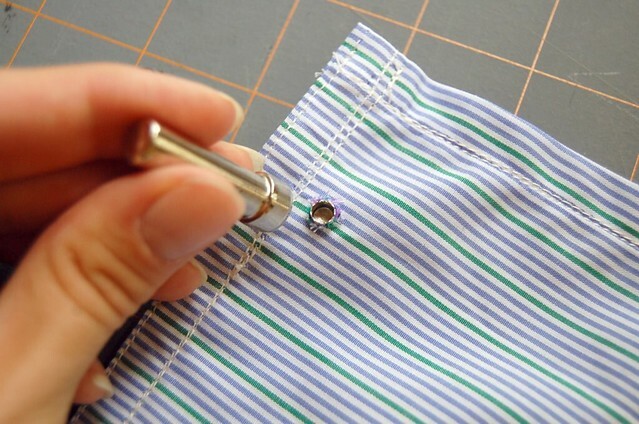 Fit the front part of the eyelet onto the bottom part of the eyelet setting kit. Place the other part of the eyelet tool on the back of the eyelet (the bottom piece in the previous photo is beneath the fabric still). 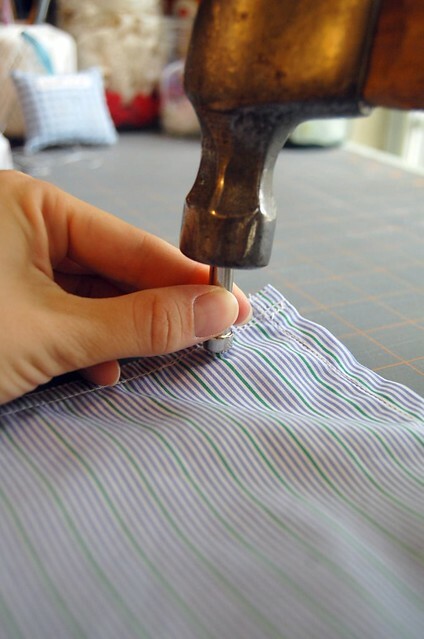 Hammer the eyelet down to flatten the back. 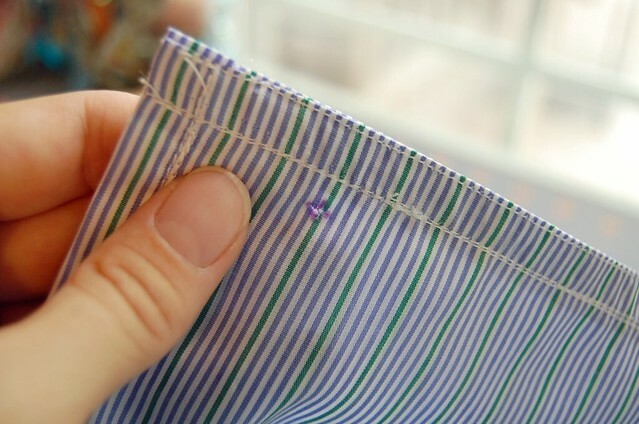 The back of your eyelet should lay flat against the fabric. 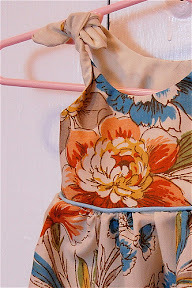 Now slide your dowels into the pockets. Hook on your suction cups. …to keep the baby cool! Thanks so much for having me Jessica–I hope you’re all beating the summer heat! What a great tutorial! 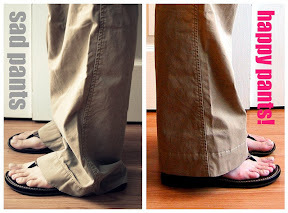 So easy, and so practical! 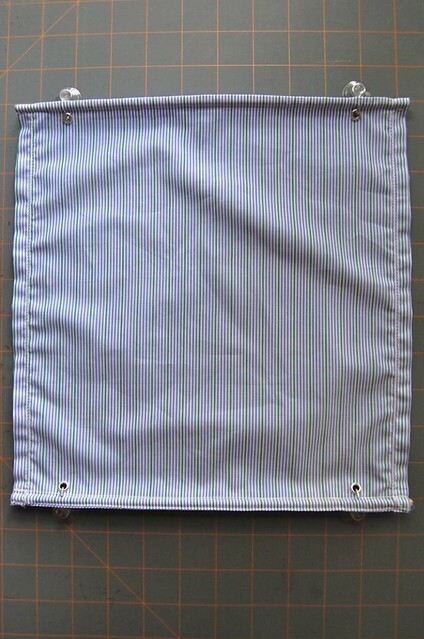 I know tons of people will get great use out of this, especially when we can choose such great fabrics to put in our car now, rather then the mesh or character designs the stores have for us to choose from now :). Thanks so much for being here Amy, and don’t forget to go check out Maker Mama to see everything she has to offer! joining you on the making friend’s and enjoying other’s work’s. 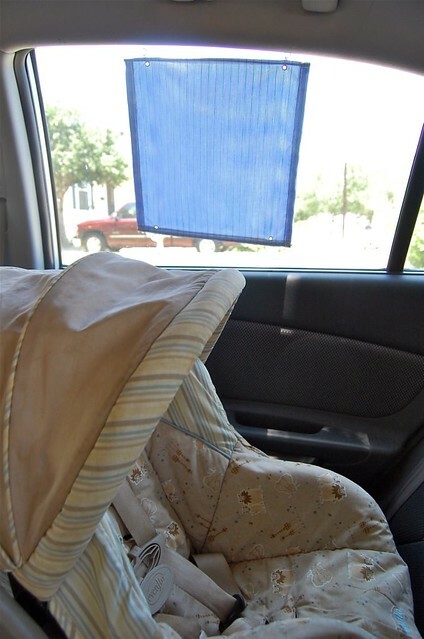 I love the idea, but think it’s a not good to block any vision from your vehicle windows. 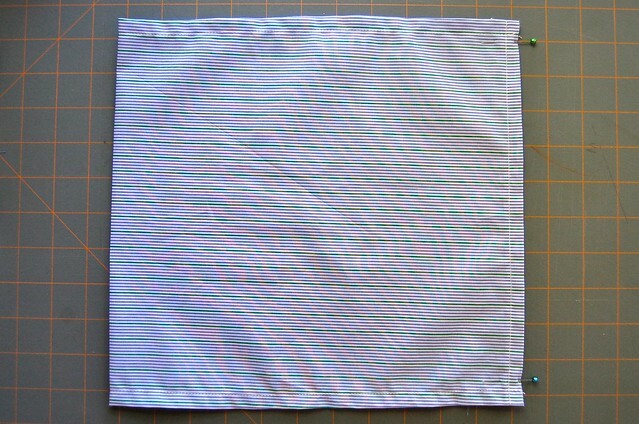 Wouldn’t some sheer mesh type fabric of sunshade (like they sell in garden stores) work to keep the sun out but allow you to have sight out of the window? Jess, I’m in Va BCH with ya!! Hope to bump into you at the fabric store! Love the blogs! 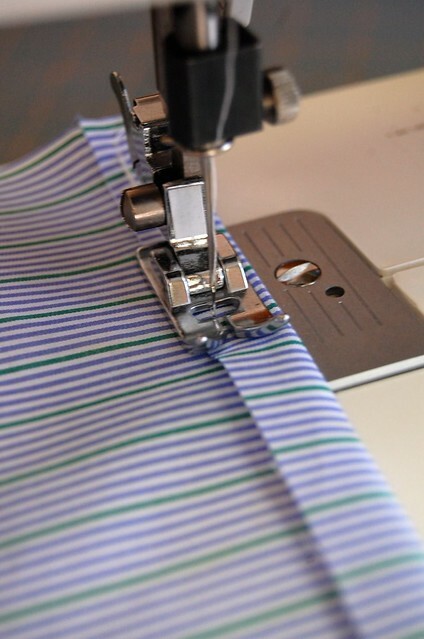 Good to see everyone sewing! !